Home > Royal Jelly > Royal Jelly 4 oz. 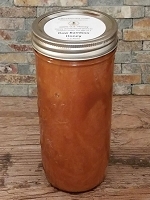 Fresh frozen royal jelly in a 4 oz. jar. Please note shipping below so your order is not delayed! This is the best Royal Jell I've had. Shipping was lightning fast. Still old when I got it. You guys are the best, Thanks. I didn’t like the flavor. It had a strange undertone. Maybe that’s what it’s supposed to taste like. 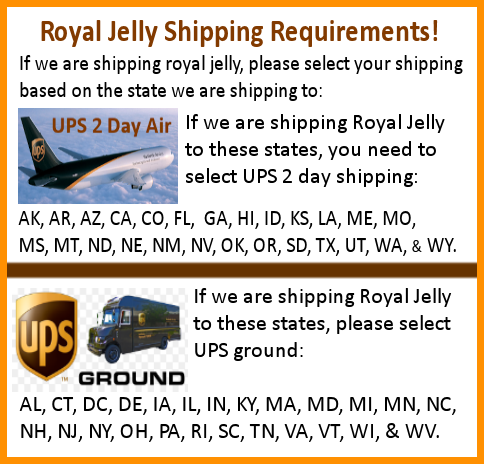 I have never ordered royal jelly before, so I was pleased with the ubiquitous warnings/instructions for shipping requirements. Once forewarned, I found the process easy enough to complete without issue. I purchased the small glass container, which is just enough to try before committing to a larger frozen bag. Probably, I'll just wash out the jar and refill from the bags, super easy. More and more people are finding that royal jelly is pretty awesome. I have not had one issue with anything that I have ever purchased from this company, everything is always well packaged. Thank you eBeeHoney! When I received my order, the royal jelly was still cold. A great product. I mix one teaspoon with yogurt in the morning and a week later I felt a surge of energy. I am so happy that I ordered from you, and was quite happy with the quality of the royal jelly and very happy with the excellent customer service that I received. I will be placing my 2nd order when you get back from vacation. I've used the product for over 3 weeks now with good results. It's brought the CFS back under good control. Solid quality. Great quality, great service, no fuss, no muss just what i expected. I cant say enough about the royal jelly. I work 3rd shift, and my sleep can be intermittent and lacking to say the least. I noticed that I would get moody much more easily, had low energy levels, and had a up and down feeling of overall well being. Since taking this jelly I noticed an improvement in all areas.I also have used it as a face mask, and noticed that, afterwards, my skin was more moisturized. A friend told me she'd been taking royal jelly for several weeks and boasted about the effects. I was skeptical but thought I'd give it a try. Wow! I have more energy than I've had in years. Hard to believe that it's the result of such a simple shift in my diet, but there's no other way to explain it. As for eBee, their service is superb. I get personal responses to my email questions in less than 24 hrs ... the jelly arrived perfectly chilled ... and I got a follow-up just to be sure all was ok.
i don't know how to do that cut/paste/copy thing, so i'm gonna do it old school, word by word. This is my review: I LOVE YOUR ROYAL JELLY! For me it started years ago. I've played drums my whole life and I used to buy those ginseng-royal vials to give me that extra energy boost to make a room of 200 people jump up and dance. Now that I can get the real thing (even though I've aged a tad), I just dose up, go play and STILL get'm out there on the dance floor at age 66! This is our trying out item. So far so good. I personally feel more energy. 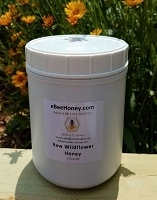 I mixed it with the wildflower raw honey for better taste. Beyond the products, I am more impressed by the customer service. They replied my questions and concerns within the day and the emails were very knowledgeable. This place selling good high quality product, and fast shipping in decent package. Thanks for your fresh natural Royal Jelly available in order online. I ordered this product few weeks back. It looks to be pure but does not seem to be fresh or recently extracted. This is the finest quality Royal Jelly I have ever ordered. Great product! I felt the effects right away !! ... I put a small amount in my coffee along with raw honey every morning !! The best quality, I've ever tasted! Excellent packaging and fast shipping. 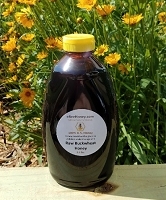 This royal jelly exceeds excellent freshness and taste. Your bees are awesome! This stuff is great even in small doses. I take a small dab (prob 1 ml) daily and notice energy right away. I normally drink a few cups of coffee but only need one with this stuff (I take separately not with the coffee though). I mix it with honey to get past the sour milk taste. 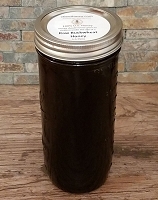 this royal gelly is a high quality, works great if you want to boost your immune system. It is the best thing that works for me when I need to support my immunity! 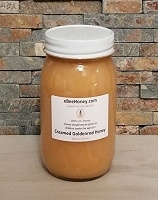 Thank you so much for making fresh Royal Jelly available! I have been taking it for a few years now and am very happy with my new found source! I am enjoying feeling better. I have taken the gel caps of royal jelly before but wanted to try the "real deal". 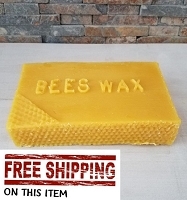 I was so glad I found eBeeHoney. I like the taste too! My mom always told me about the benefits about Royal Jelly and I wanted to try that. It's not only great for your health but also for your skin. 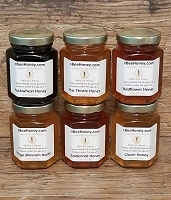 Ebeehoney delivered this 4oz presentation fast enough and properly packaged. 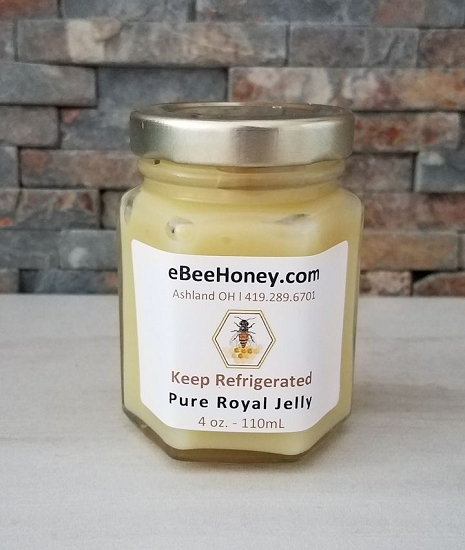 It is hard to find FRESH RAW Royal Jelly in Chicago, yes, you can find soft gel capsules and all that but it is far better to take it fresh and natural. After 2 weeks of daily use I notice a difference in my overall health. I apply a small amount in my face once a week to keep it hydrated. 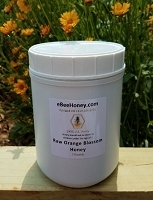 Not sure how long this jar will last but for sure will order with Ebeehoney again! I'm a queen breeder, and one of the few things I don't do is try to harvest my own royal jelly. however, I do like to wet-graft, and the royal jelly from eBeeHoney has been the best we've used so far. Acceptance by the larva/bees is fantastic and our success rate is phenominal. I am so happy to have come upon this site and the truly great products it offers. I especially love the personalized service when I called to ask about the products and the time they spend answering all your questions. I was interested in the royal jelly and its amazing healing benefits and from the others I purchased this is the best on the market. I have told so many of my friends to only use products from Ebeehoney. great price , I received it couple of days after I ordered it, it was still cold when I got it. Loved it. Now I know where I will buy from now on. Did not know what to expect when ordered. Quick delivery, excellent packaging and fresh taste. Love the way it makes me feel. Would like to know what amounts to take for optimum results. Great service and professional experience. The package came in a box padded with ice pad, every bottle was carefully stored. The taste is just as I expected. You have to get use to it, once you overcome that 'funny taste' feeling, you will love the result it give to you. So far I noticed is that I don't need to snack a lot during the day. This order was a gift to my sister. 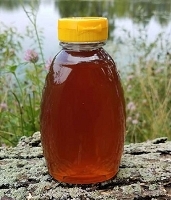 Your royal jelly is part of a recipe that I use to supplement my family's nutrition. Fresh royal jelly is the best to use. By combining fresh royal jelly, wild honey, bee pollen, and propolis you consume 98% of the nutrients you need for good health. We have created a family network that exchanges recipes and gifts to promote good nutrition and health. I highly recommend fresh royal jelly. I ordered the smallest size on 9/22/2012 because I wanted to try your product. I received on 9/24/2013, so fast. At the first taste, I didn't like it, but I get used to take with honey every day and feel getting better. Now it's almost gone, and I'm going to order more! this is a wonderful product. i will continue to order here due to the profiecent shipping on ice. this product does what it claims to do. thank you keep up the great work. Your royal jelly is a great product! 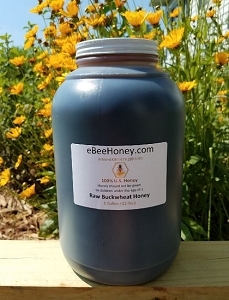 I've been taking it daily mixed in with raw honey, and the most noticeable health benefit for me so far has been not getting sick even though I work in a hospital setting and have 3 kids who have been bringing home illnesses from school. I will definitely continue to use it!